Sometimes when you’re listening to your music, there comes a time when you need it be paused or the volume lowered very fast. Other times, when you’re on your lockscreen and the music controls don’t pop up, you have to unlock the device and then go to the music app and mess with all of that. 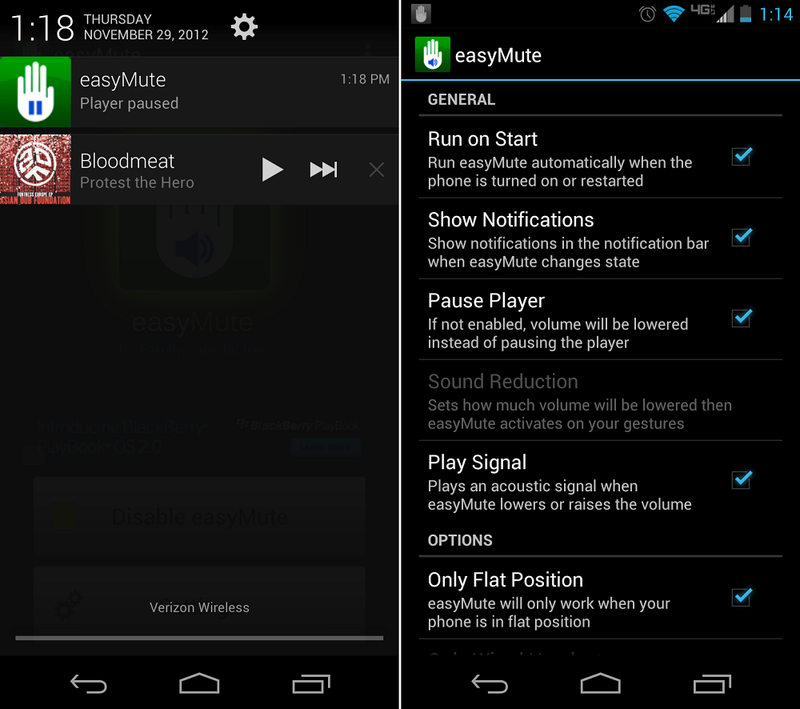 Instead, check out easyMute. It’s free in Google Play and works like a dream. 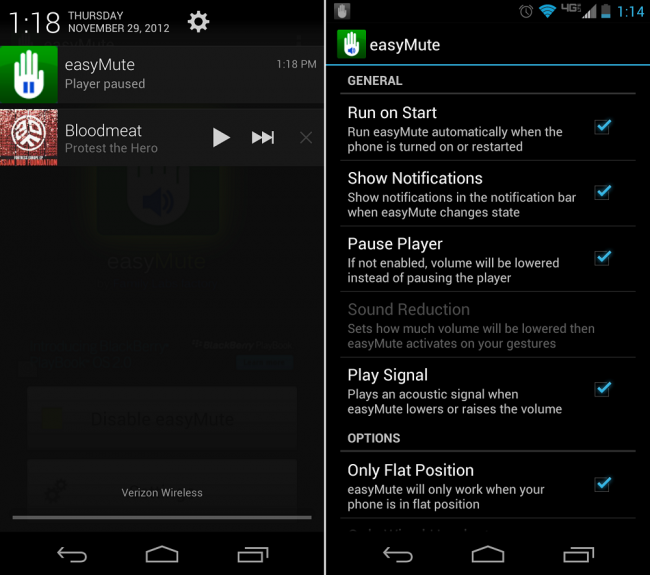 After enabling the app, it uses the proximity sensor on the front of your phone to see if you need your music to shut up or not. You can set it to just lower the volume or turn it off completely. When lowering the volume, it works really neatly. Hold your hand over the phone and it quiets it down, then as soon as you lift your hand, it’s back to blasting. It’s pretty cool and might even impress some people. That’s what we’re here for, right?